Durham has two great venues on offer for its residents both easy to find and offering a great paintball experience. Paintball in Durham's premier venue is Stockton on Tee's. This site has recently had a lot of refurbishment work completed offering the best facilities for paintball in Durham. The gamezones have also been improved to guarantee the fastest most exciting paintball games for miles around. Also servicing the Durham area is our Newcastle venue, which maybe more accessible for some residents. 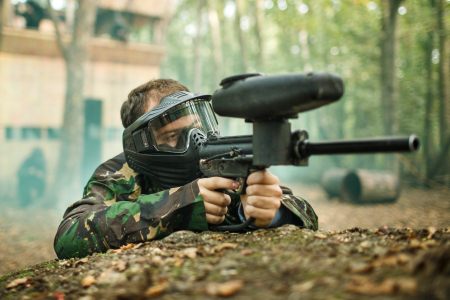 Newcastle is also easily accessible and promises a full day of adrenaline filled paintball fun. Haggit Hill Lane, Yarm, North Yorkshire, TS15 0AA.